Passed away peacefully in his sleep at home in Kane'ohe on August 25, 2018 at the age of 85. Wilfred also known as Willie Dung to his friends, was born on July 8, 1933 and raised in Hanapepe, Kaua'i. 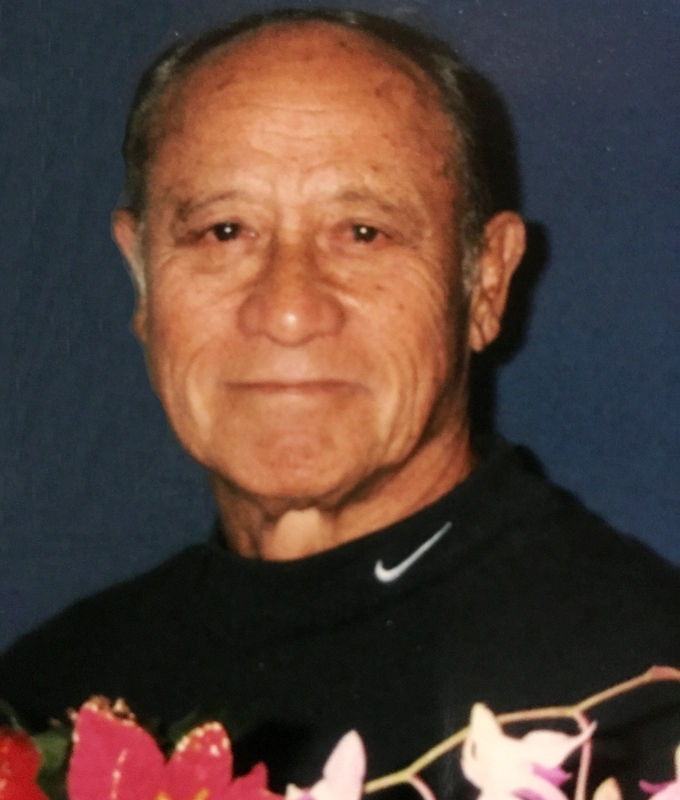 A graduate of Kamehameha School for Boys Class of 1952, he excelled in football and was selected to the All-Star Team for 2 years. He continued his education at Pasadena City College and was a member of the football team that had a perfect season of 11-0, the first in the college's history. After serving in the Army as a Military Police Officer in Germany, he became an Air Traffic Controller with the FAA at the Honolulu International Airport. He later worked for former City Councilman David Kahanu as a legislative aide and was a member of Na Hoaloha O Kamehameha and the Imua Group. In his earlier years, he had a love for flying and had a private pilot's license. He loved fishing from his Uniflite boat "The Angler", and enjoyed golfing with his buddies. Getting together with his classmates at reunions and occasions were so special to him. He is survived by his beloved wife of 59 years Patricia, daughters Terri Lynn Silva (Kenneth), Kristine Lum (Wyllie "Butch"), son Derek Dunn (Pamela), 5 grandchildren: Kylie Ann Lum, Taylor Rae Richardson (Ethen), Riggs Silva, Rileson Dunn and Leila Dunn. Wilfred was a loving husband, a kind and caring father, grandfather and friend. We miss him dearly. Please join us in celebrating his life on Saturday, September 15, 2018 at Borthwick Mortuary, Mauka Chapel, 1330 Maunakea St. Visitation at 4:30pm and Services at 5:30pm - Dinner to follow. Burial will be private at the Hawaii State Veteran's Cemetery at a later date.